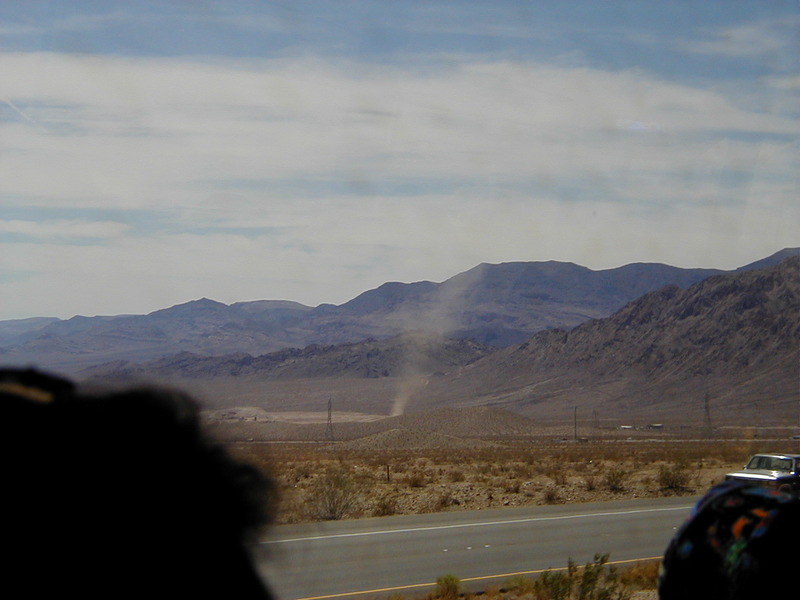 Dust devils outside Boulder, Nevada. There were about 4 lined up across the flat desert. 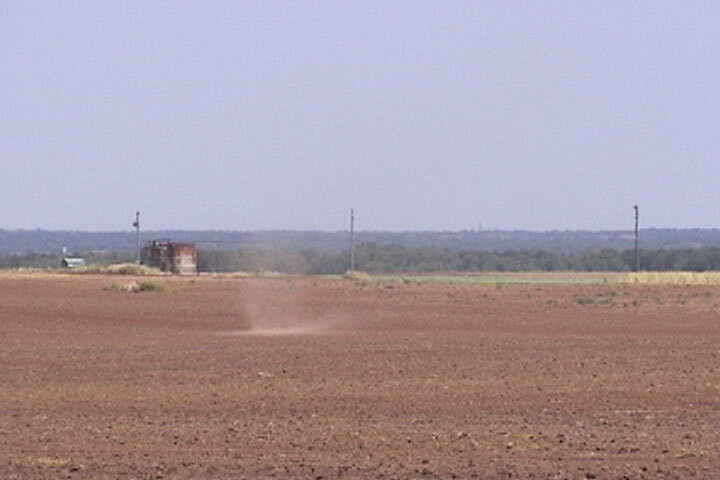 Near Watonga OK. about 1pm. 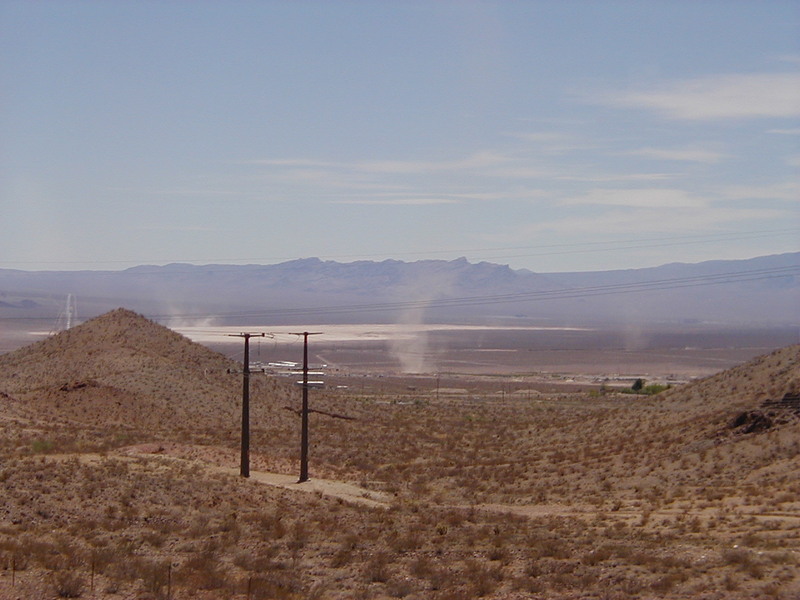 A very hot day led to some dust devils. Not very big, but it was something to break the boredom from a stormless summer.